Don’t you just love Tuesday’s? Especially today, on February 12th…. And it’s Allan’s birthday! This event is about loving, and I’m loving me some Sonoran food and beer. 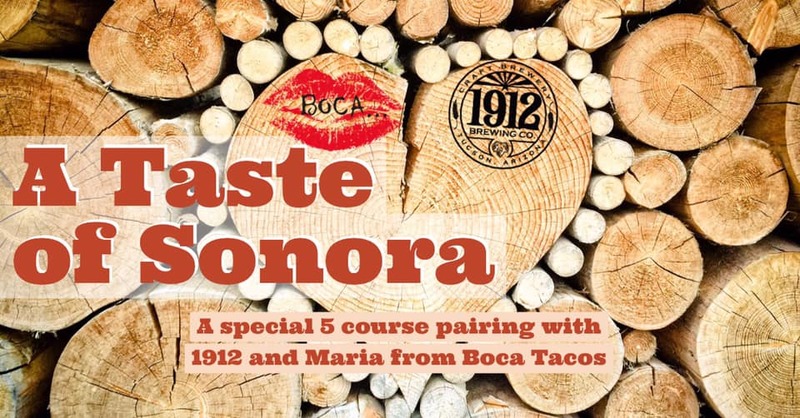 Join us for an exclusive pairing with Maria from Boca Tacos, who will be whipping up some eclectic dishes to burst your taste buds. 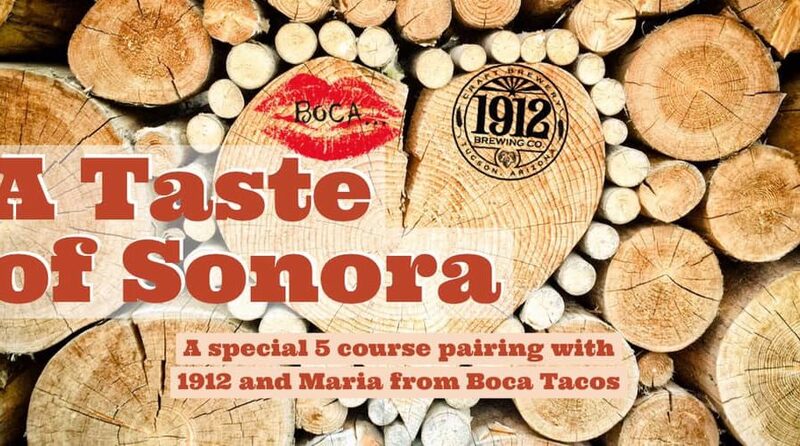 Maria will be offering up 5 different plates to bring the Sonora to you! Each plate will pair up with 5 different 1912 beers. Stay tuned for tickets!